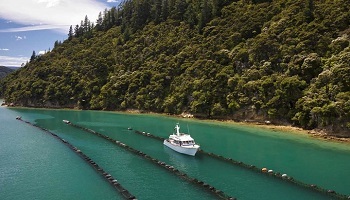 A leisurely itinerary through the South Island where you're sure to be enamored with the physical beauty, nature activities and food & wine of New Zealand. 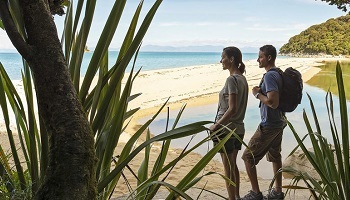 Covering the South Island hot spots of Nelson, Blenheim, Kaikoura and Queenstown, you'll be able to enjoy a day of activity and an afternoon or evening of relaxation. 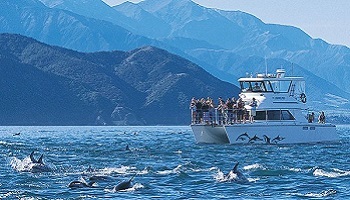 Enjoy sea kayaking to the well known seals in Abel Tasman National park or a scenic whale watching excursion in Kaikoura. 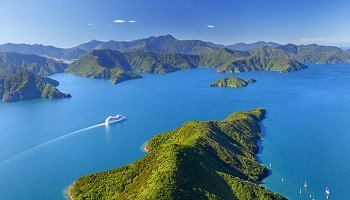 Cycle through the vineyards, cruise through the world renowned Milford Sound or simply relax at your leisure and take in the pristine beauty of New Zealand with a glass of local wine. Collect your rental car to begin your self drive to accommodation. ACCOMMODATION - Grand Mercure Nelson Monaco Apartments is the perfect place to escape everyday life and relax in the old world charm of a village atmosphere. 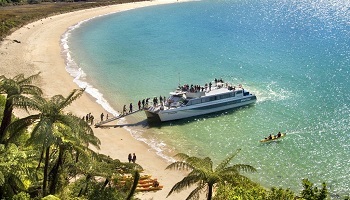 With views stretching across the Waimea Inlet to the mountains of Kahurangi National Park, the resort is conveniently located just 10 minutes drive from the heart of Nelson and the city's airport. What's more, once you arrive you won't need to go far, as the resort provides all the comforts and conveniences you could wish for, from an award winning restaurant The Monaco Kitchen to the health and beauty spa, pool and gym facilities. The drive to Blenheim is both beautiful and interesting. 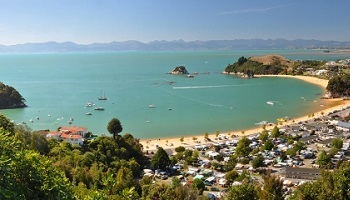 Havelock is the place for a seafood meal, known as the Green Shell Mussel Capital of the World. When you reach Renwick, which is surrounded by vineyards, it will be clear that you've arrived in wine country. 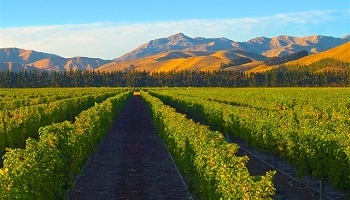 Blenheim is the heart of wine-growing Marlborough. You'll find a pleasing selection of cafes, restaurants, pubs, shops and golf courses. ACCOMMODATION - Chateau Marlborough offers boutique Blenheim accommodation in the heart of one of New Zealand's most famous wine regions. The trip south takes you along the edge of the rugged coastal ranges. 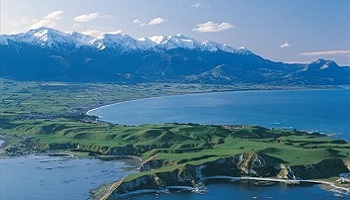 The South Island's largest city, Christchurch is an entertaining mixture of refined lifestyle and cultural excitement. The tranquil Avon River meanders through the city, historic buildings house a lively arts community and restored trams make it easy to get around. 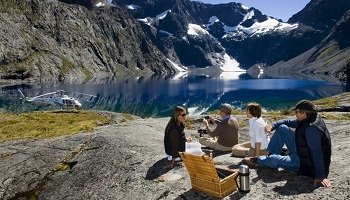 Visit heritage sites, museums and art galleries, and enjoy the highly developed restaurant scene. Return rental vehicle at Christchurch airport. 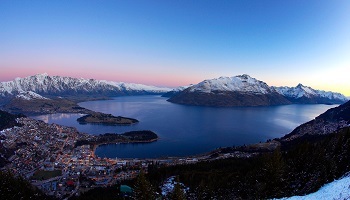 Fly to Queenstown and on arrival, shuttle transfer to accommodation. ACCOMMODATION - Mercure Queenstown resort is situated on a unique vantage point with breathtaking, majestic views over Lake Wakatipu and Remarkables Mountains.148 guest rooms with either spectacular lake or garden views. Facilities include a seasonal swimming pool, sauna, gymnasium, spa and sports storage room. Enjoy atrium views and superb cuisine at the Vista Restaurant. Relax in the Lounge Bar mezzanine for coffees, tapas and beverages.